Student finance and funding timetable - Which? There's nothing more frustrating than missing a deadline you didn't know about. Be clear about the key dates for applying for student funding and your students won't miss out. There are a number of important dates to know about on the student funding calendar – here they are laid out chronologically, so you and your students can understand them together. 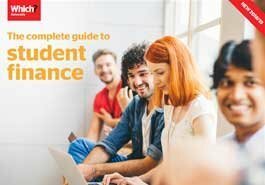 To find out more about this area download our Complete Guide to Student Finance. January onwards: applications for student finance in England opens, where students can apply for Tuition Fee Loans, Maintenance Loans and Advanced Learner Loans. Students usually receive their entitlement letter around six weeks after applying. March/April: Students will start to receive offers from universities and find out what funding schemes are offered by each university in the form of bursaries and scholarships. Applications for student finance in Wales, Scotland and Northern Ireland usually open around this time of year. April/May/June: The deadline for applying for funding through Student Finance for courses that start in September range from April to June, depending on where the student lives. Find deadline dates to apply for funding on the Ucas website. Students can still apply for funding up to nine months after their course starts, however be aware that they won't get it as quickly this way. June: The deadline for being assessed for a bursary. Students may receive an email letting them know if they've been awarded a bursary any time from now through to December. September/October: The first instalment of the maintenance loan received (at the start of term). October/November/December: The first instalment of a bursary or scholarship (dates may vary). January: The second instalment of the maintenance loan (start of the second term). February: The second instalment of a bursary or scholarship (dates may vary). Some universities will pay one instalment of a scholarship and this may be around this time of year. April: The third instalment of the maintenance loan (start of the third term). May: The third instalment of a bursary or scholarship (dates may vary). The dates above are a guideline and vary from one university to another.